Marriage certificate is an official declaration that states that two people are married. In India, Marriages can be registered either under the Hindu Marriage Act, 1955 or under the Special Marriage Act, 1954. For both types of marriages, a marriage certificate is the legitimate proof that a couple is married. In 2006, the Supreme Court made it mandatory to register the marriage for safeguarding women’s rights. Hence, obtaining a marriage certificate after marriage can have various benefits. Note: To obtain marriage certificate, the groom must be over 21 years of age and the bride must be over 18 years of age. Marriage certificate is an essential document while applying for a passport or opening a bank account with a new surname post wedding. Also, in case of foreign travel or visa processing, many embassies request a copy of the marriage certificate. Hence, a marriage certificate is obligatory many couples to move to abroad after wedding. To complete marriage registration and obtain a marriage certificate in Tamil Nadu, the below documents must be self attested and submitted for both husband and wife. The requirement for documents can be divided into three categories as follows. Identity and age proof must be provided by both the bride and the the groom. In addition to the above 4 passport size photograph for bride and 4 passport size photograph for bridegroom should be submitted. 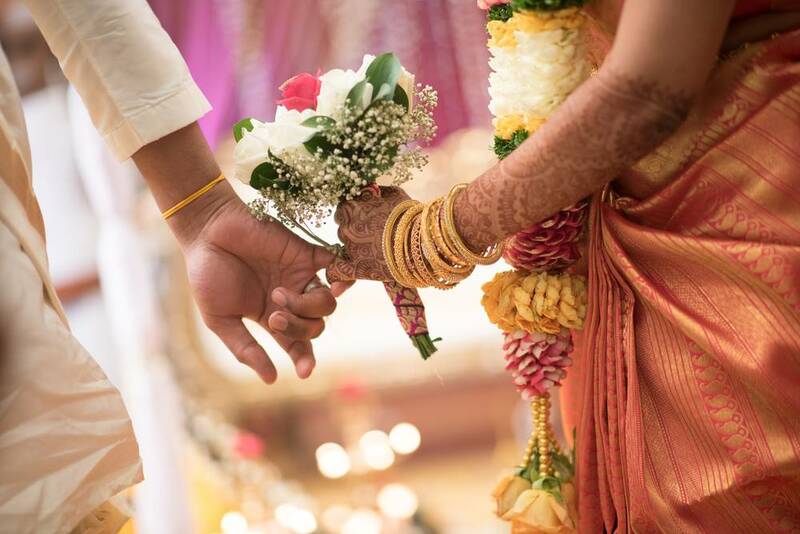 In case of registration of marriage under the Tamil Nadu Registration of Marriage Act, the marriage could have been solemnized under any personal law. However, the marriage can be registered only within 90 days without fine and within 90-150 days with fine. After that the marriage cannot be registered under the Tamil Nadu Registration of Marriage Act. This type of marriage can be solemnized before the Registering officer or in any other form. Bridegroom and Bride should have completed 21 and 18 years of age respectively. The notice of intended marriage must first be issued. If no objection for the marriage is received within 30 days from the notice, marriage will be registered. The person who registers would receive a number which would be printed on the acknowledgement slip and the corresponding application form is complete. Take a printout of acknowledgement slip as well as the application form. In case of Hindu Marriage Act, the appointment would be registered within 15 days of the online registration, however, in the case of Special Marriage Act, it might take up-to 60 days. Any person who has made an appearance at the marriage registration of the couple shall be a witness and the witness must possess a valid PAN Card and a Proof of residence address.